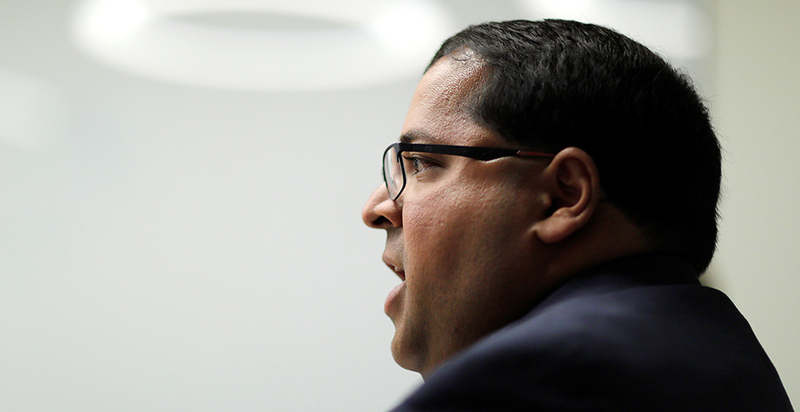 Federal Energy Regulatory Commission Chairman Neil Chatterjee played a role in torpedoing the all-but-final White House nomination of Republican David Hill to join the commission, several sources familiar with the matter told E&E News. Hill confirmed to E&E News the White House told him he would be appointed chairman. Multiple sources said Chatterjee made calls to energy companies and Republican allies, undercutting his potential nomination. E&E News spoke with a dozen industry and political sources who requested anonymity due to the sensitivity of the discussions. Chatterjee did not respond to requests for comment nor answer written questions. Not having a Republican nominee keeps FERC gridlocked with two Republican commissioners and two Democrats and places in limbo the future of billions of dollars of infrastructure investment as well as progress on electricity market reforms and enhancing grid resilience. "I think he got taken down in a quintessential Washington assassination," a veteran Washington energy attorney said of Hill. "It's just part of the cynicism that's pervading Washington now. This administration is not about public service. It's about self-service." Chatterjee has repeatedly told reporters he had no contact with the White House or involvement in the administration's selection of a new FERC member. Hill, a veteran of the George W. Bush administration and longtime energy attorney, would have replaced Kevin McIntyre, who died earlier this year, as chairman of the commission. Hill's nomination was all but officially announced, multiple sources said, including a series of FBI background interviews and paperwork, until the White House pulled away from the nomination in mid-March after lobbying efforts from Chatterjee and Energy Secretary Rick Perry. Hill has publicly professed his disdain for the Department of Energy's attempts to aid financially struggling coal and nuclear plants to ensure grid resilience. Media reports highlighted the efforts of Perry and the coal industry to stop Hill's nomination from going forward. But E&E News' reporting shows the actions were also to prevent Hill from assuming the FERC chairman's post — a leadership position specifically chosen by the White House to direct the agenda and policy considerations at the independent agency. Hill confirmed to E&E News that the White House said it was prepared to nominate him to the commission and designate him as chairman. Hill said he was willing to take on that role. Hill has been a fixture in the Washington energy policy world for much of the past two decades, which may have made his confirmation to lead FERC smoother than other more recent commission nominees. He served as the Senate-confirmed general counsel for DOE from 2005 until 2009. 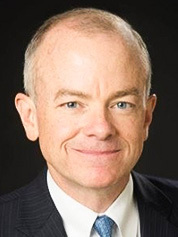 He then served as NRG Energy Inc. general counsel from 2012 until early 2018. And he earned the recommendation of Senate Energy and Natural Resources Chairwoman Lisa Murkowski (R-Alaska), whose committee would have jurisdiction over the initial confirmation process. "David Hill would have been a good pick for FERC," Murkowski said in a statement. "He's very well-qualified, has been previously confirmed by the Senate, and would likely have garnered bipartisan support," she added. "It's disappointing and frustrating to see this happen and to still be waiting for a nominee for this important position." The interview process for Hill's ascension to the commission started in July 2018 when White House officials reached out to him as a potential replacement to departing Commissioner Robert Powelson, according to sources. Hill would take the job, sources said, only if it was to chair the commission. The White House and Hill began preliminary discussions in September 2018 about taking over for McIntyre as his illness progressed, according to sources. That culminated in a December decision by the White House that Hill would be the nominee. Hill then sat down with Perry in February to talk about his nomination, according to sources. During that meeting, Hill told Perry he would remain fuel-neutral in his decisionmaking, refusing to pledge allegiance to any one technology or fuel such as coal or nuclear, sources said. That neutrality would eventually be used to drum up an effort by coal executives to scuttle his nomination, according to sources. DOE did not immediately return a request for comment. The White House also didn't comment.